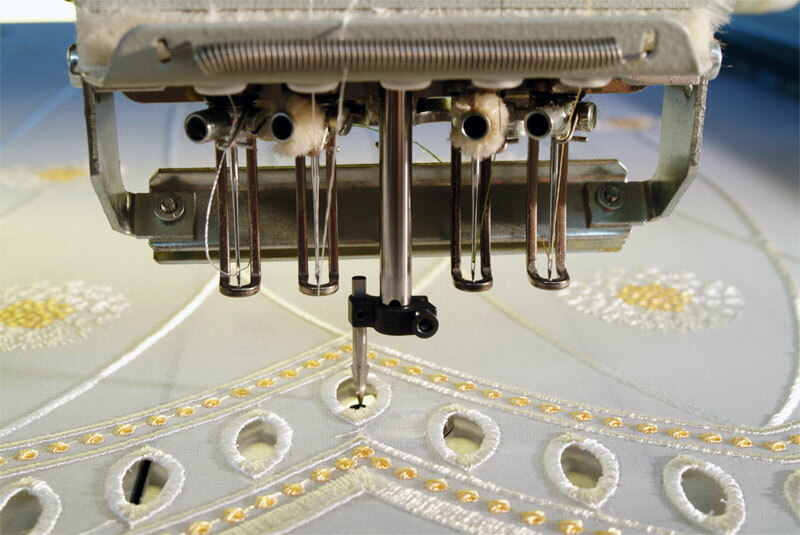 Embellish garments with unique decoration technique – the Boring Device is simply installed on the machine and replaces an embroidery needle. This sharp device will create cuts in the fabric as it “stitches.” Once the cuts are created, a surrounding needle will typically stitch a circle or oval satin outline shapes around the sliced fabric. By using a satin stitch, it will pull the fabric (that has been cut) back into the stitching and create eyelets or even lace effects.